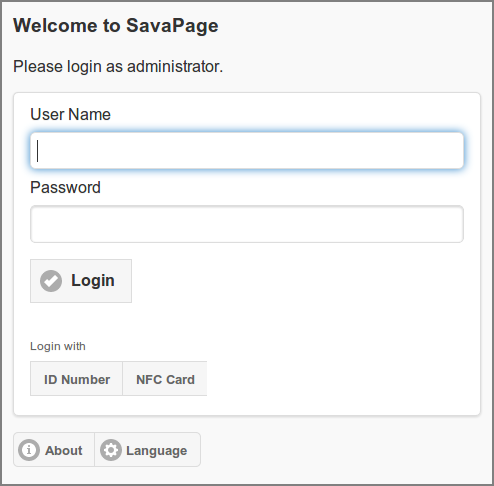 The Admin Web App can be reached at https://savapage:8632/admin. See Appendix E, URL Cheat Sheet. The internal admin user and Persons with admin rights are allowed to log in. See Section 4.4.4, “Edit User” how to assign admin rights to users. After a successful login Figure 4.2, “Admin Web App: Menu” is shown. Initially, just after installation, only the internal admin user can login. See Section 4.4.7, “Administrator Role”.